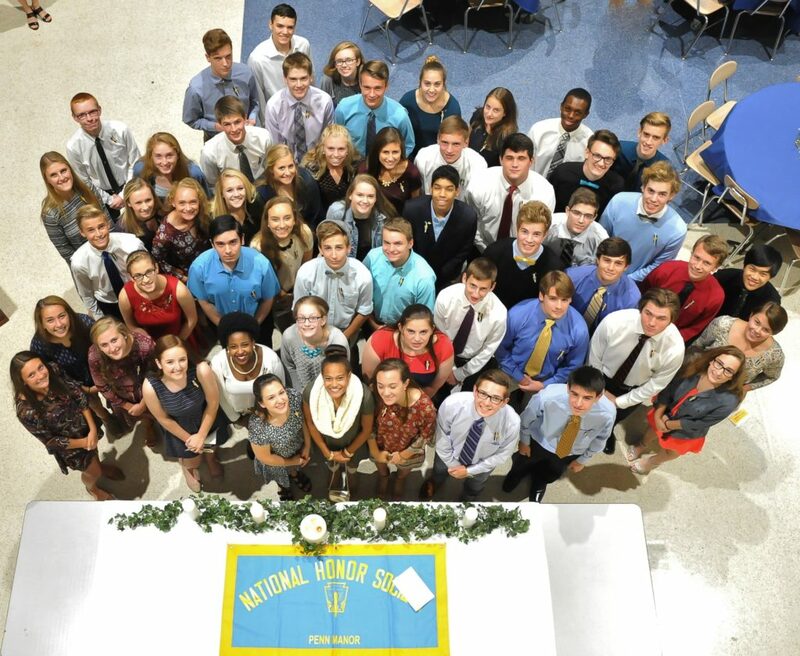 The Penn Manor chapter of the National Honor Society welcomed 54 members following an induction ceremony Oct. 5 in the high school cafeteria. To qualify, the Penn Manor High School juniors and seniors had to maintain a cumulative grade-point average of at least 3.85 and demonstrate strong leadership, service and character traits. Emily Aukamp, Emma Batchelor, Conner Braun, Hannah Brown, Caleb Bye, Christine Bye, Maryellen Campanaro, Trevor Charles, Morgan Conner, Evan DeVitry, Sam Duncan, Ava Dunford-Groves, Seth Eaby, Bryce Eberly, Lauren Elledge, Mckenna Eshlelman. Nicholas Fafel, Tiana Ferko, Keegan France, Cole Heckaman, Danielle Heisey, Blake Jacyszyn, Sydney Leichliter, Lindsey Lord, Mackenzie Lewis, Malachi Lyon, Calle MacDonald, Hannah Mader, Stephen (Max) Minnick, Reed Morrison, Colin Morrison. David Mowery, Ali Murphy, Ryan Nicklas, Aytekin Oldac, Alex Patterson, Susan Porambo, Brianna Reitnauer, Mikiah Sangrey, Anne Schoelkopf, Alyssa Schriver, Nolan Shenk, Nora Shepps. Clay Shuffelbottom, Morgan Smoker, Julia Tappany, Aidan Toomey, Christopher Trussell, Jane Tumanga, Vincent Vozzella, Kevin Ward, Taraje Whitfield, Thomas (Ben) Wright and Emma Young. The 2016-2017 National Honor Society inductees.